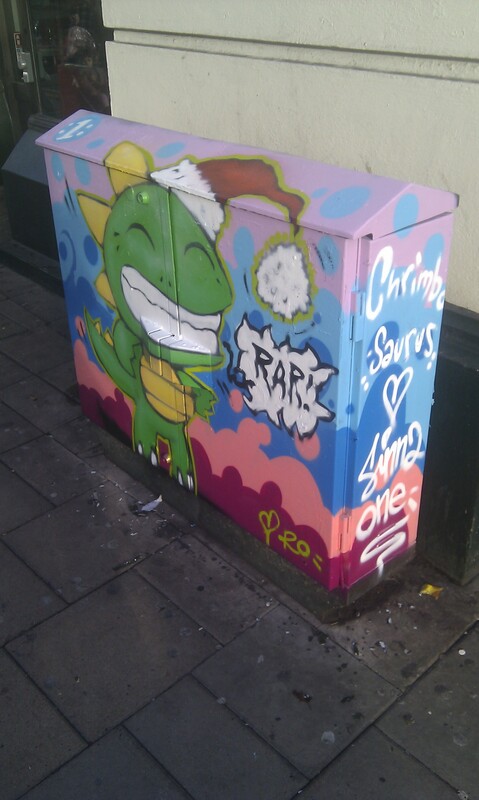 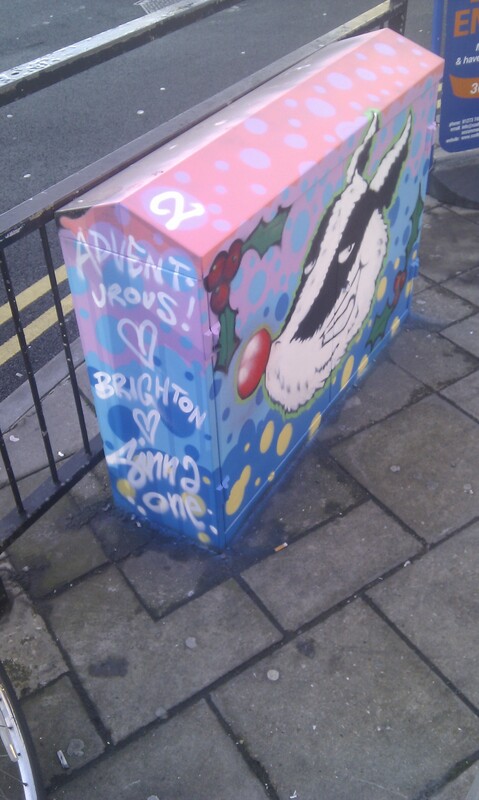 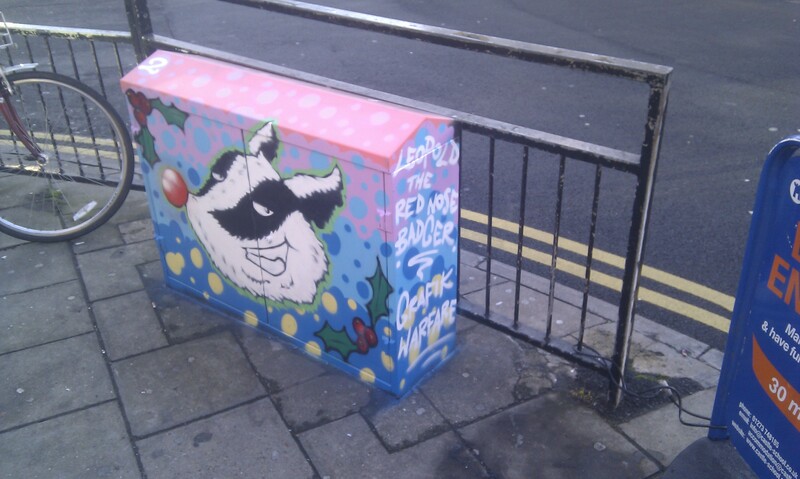 I’m getting all festive and we kick off the Grafik Advent project on green boxes around the city of Brighton. 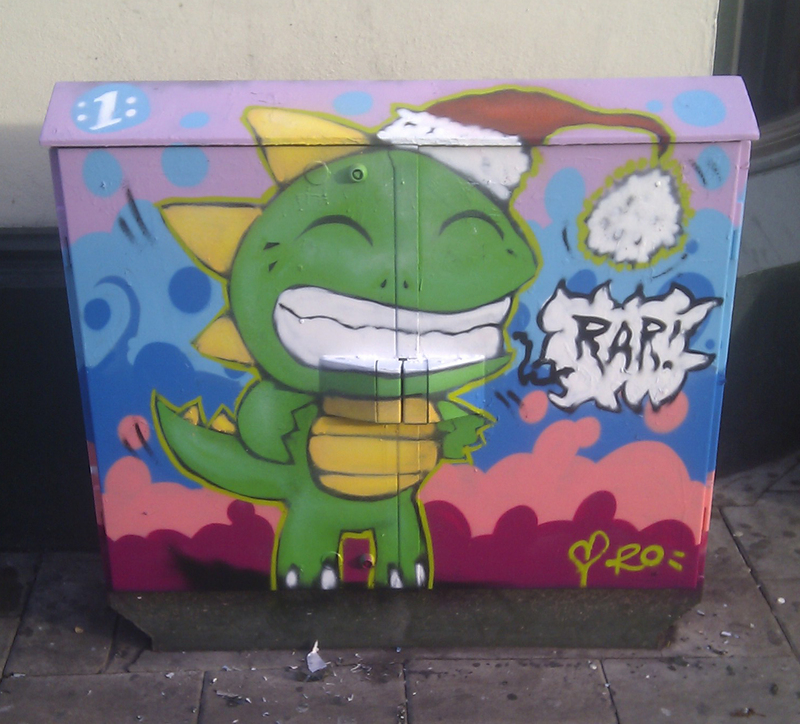 Keep your eyes peeled for more but to get you started there are already 3 boxes completed by myself , Sinna One and one by mr SNUB23. 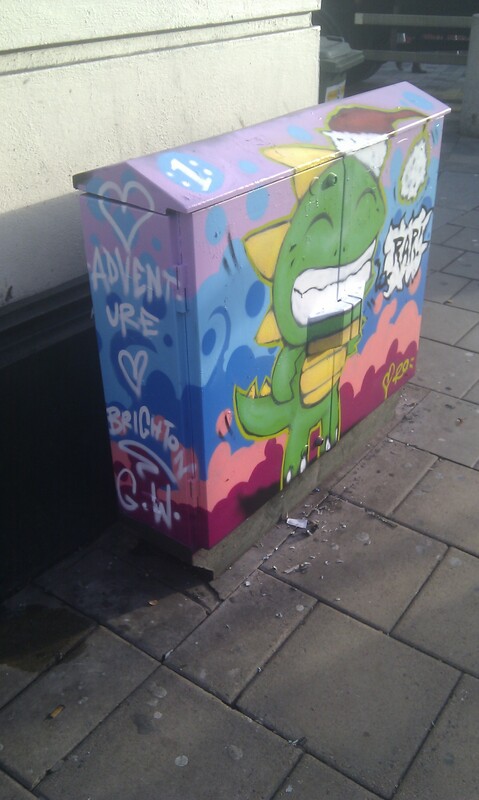 Here are a couple of pics. 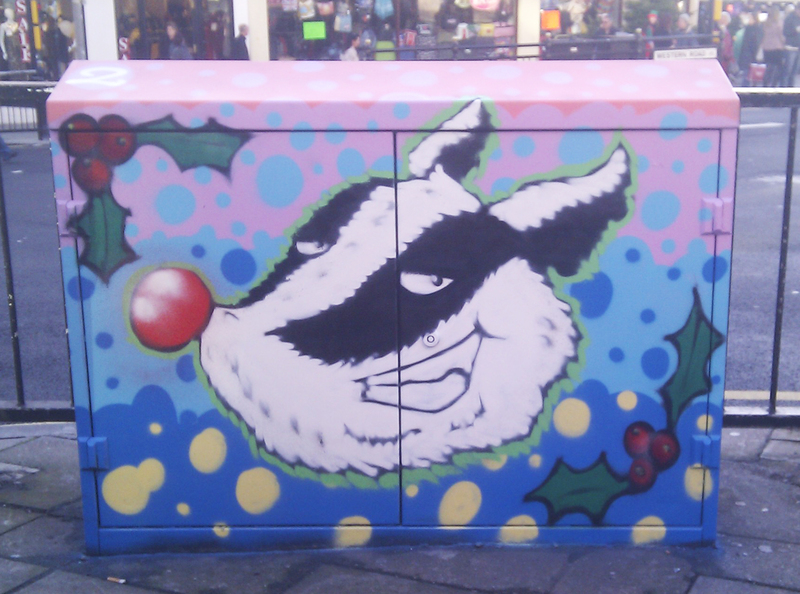 For more info check out my Flickr and my Facebook page.